On Tuesday, June 7, the state of California will be holding its presidential primary, with both Republicans and Democrats turning out to support their candidate of choice (although that's basically a purely academic question on the Republican side). But there's something unique about the Golden State's elections that's getting a lot of press lately, and it's got nothing to do with the presidential race ― so, why won't California Republicans have a senate candidate on the ballot this year? The answer lies in the state's "top two" primary system, a controversial, rarely-seen style of determining the general election ballot that was passed by California voters back in 2010. Here's the basic idea: Rather than having the top primary vote-getters from each party represented on the ballot in November, two slots will go to ― you guessed it ― the top two vote-getters, regardless of their party. The upshot? California is a deep blue state, dominated by the Democratic Party thanks to its largely liberal major population centers. Consequently, the top two system creates the very real possibility that both candidates for the state's senate seat could end up being Democrats, with nary a Republican in sight to oppose them. 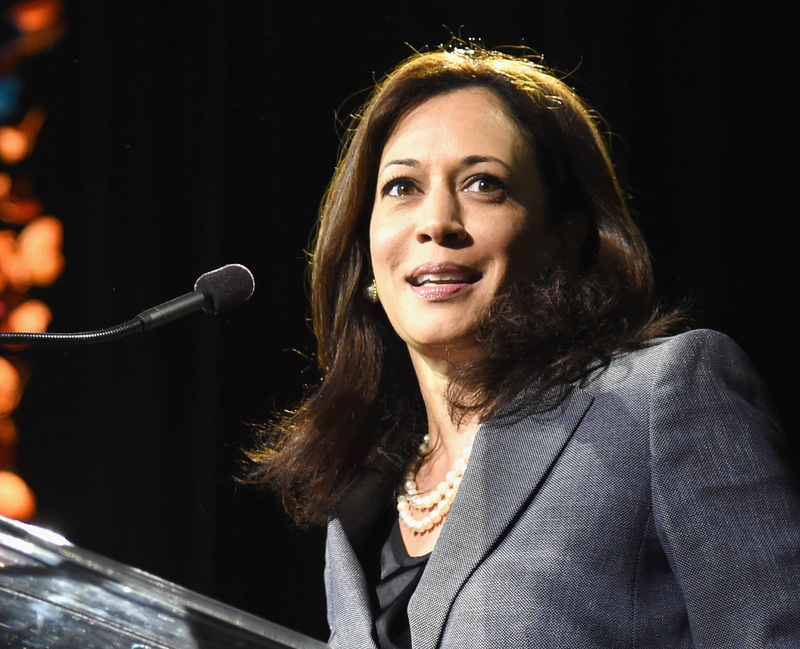 The two leading candidates at present are both Democrats ― Attorney General Kamala Harris is in the lead, with Rep. Loretta Sanchez the closest runner-up. If that sounds unfair to you, you're not alone. There are at least some compelling arguments on both sides ― on the one hand, why shouldn't voters get to pick between the two candidates who received the most support? But there's no denying that this system is going to put the California GOP in a hell of a spot this election season, and that's going to cause a lot of discontent among the state's conservative and traditionally Republican voters. There's already a long history of California conservatives feeling alienated and dominated by state politics, by virtue of the huge Democratic majority being confined to enclaves in the Los Angeles and the Bay Area. Despite the state's reputation as a progressive haven, there are countless conservatives in the Central Valley and the far north of the state who've routinely been left feeling as if they have no political power. This kind of system only inflames that. As it stands now, Harris and Sanchez are out in front, with Harris netting 28 percent of the vote in a recent poll, and Sanchez coming in at 20 percent. The closest runners-up ― George Duf Sundheim Tom Del Beccaro ― were tied with a meager 6 percent, with Ron Unz in fifth place at 4 percent, and "other" at 3 percent. Even if you consolidated all that Republican support into just one of their candidates (who are hurt by their relative anonymity), that'd work out to just 19 percent, meaning there's a reasonable chance they'd fail to place second regardless. In other words, times are looking bleak for the state Republicans, and Democrats will probably be choosing between two Democratic women come November. The only real drama will be whether it's Sanchez or Harris, although at this point Harris is considered the odds-on favorite.